Liya, 33, arrived in Luxembourg a year and a half ago. She has brought up 5 children in Ethiopia, her home country. When her first husband died, she remarried. But unfortunately, her alcoholic and unemployed husband returned to Ethiopia with 3 children, leaving his wife here in Luxembourg with 2 children (aged 2 and 10). She is divorced and works in a restaurant in the city; what she truly loves. She would even like to get a driver’s license. She and her children have a particular wish for some time now: return to Ethiopia to see the family again. What is better than celebrating Christmas and the New Year with your family? 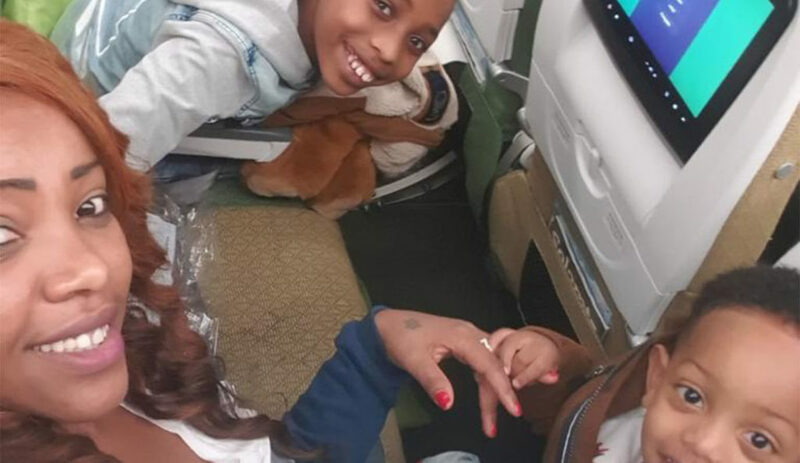 Here we are on a new adventure: Liya and her two children will leave for Addis Ababa on December 23rd and will be able to enjoy the annual holidays with their loved ones as the return Is only scheduled for January 4th. Have a good trip and a nice holiday!